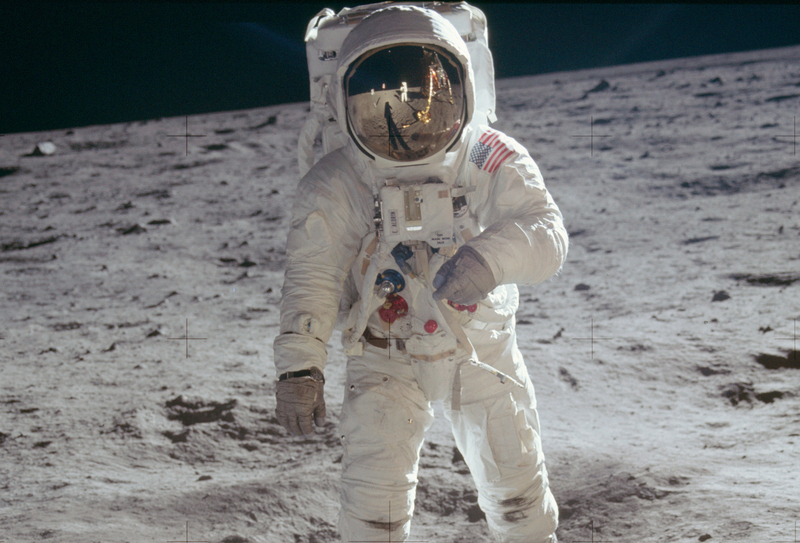 Astronauts on the first mission to the moon were mission commander Neil Armstrong and pilot Buzz Aldrin. Armstrong was the first person to walk on the moon. 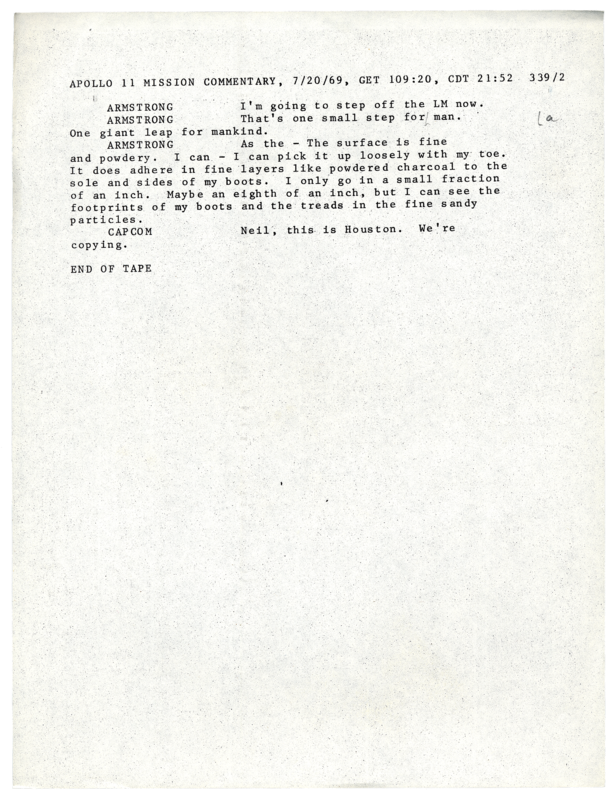 He famously referred to this achievement as “one small step for man, one giant leap for mankind.” However, Armstrong insisted that he actually said “one small step for a man,” and annotated the APS's copy of the transcript accordingly. Armstrong was elected an APS Member in 2001. Pilot Buzz Aldrin walking on the moon. 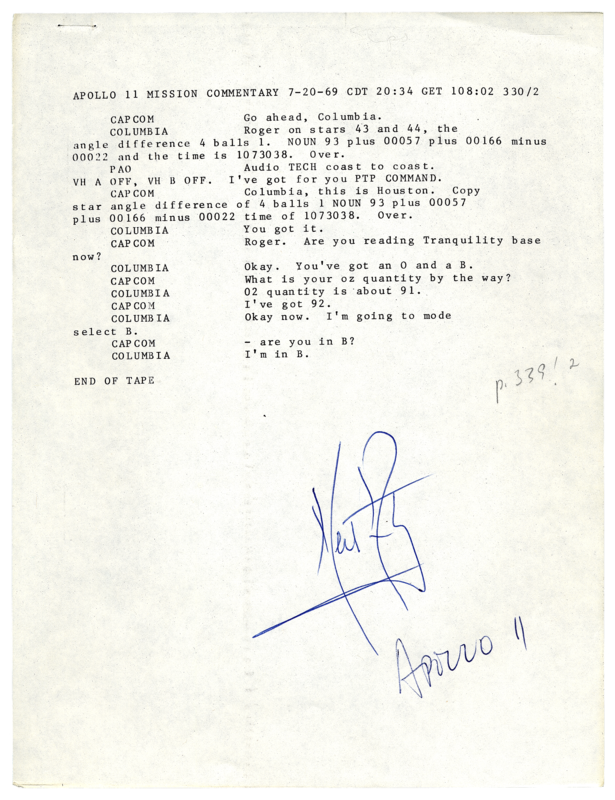 The end of the transcript of the moon landing with Armstrong's signature and "Apollo 11." In 1801, APS Member Charles Willson Peale and his sons made their most important contribution to science when they excavated mastodon bones in upstate New York. The mastodon was first displayed in Peale's Philadelphia Museum, located in the APS's Philosophical Hall, today the site of the APS Museum. Thousands of people from all over the globe came to see the "antique wonder of North America." 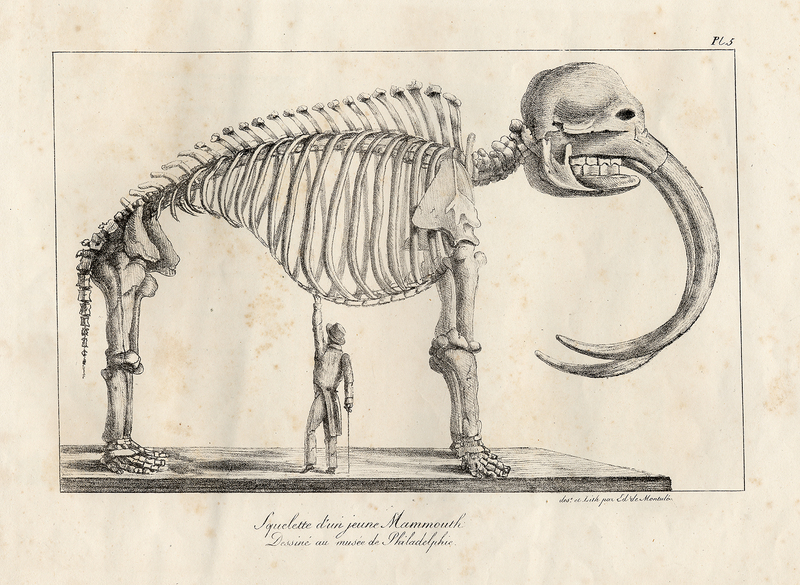 This image of Peale's mastodon was in a 1821 French travel book by Édouard de Montulé. Translation of the French inscription: "Skeleton of a Young Mastodon. Drawn in the Philadelphia Museum. 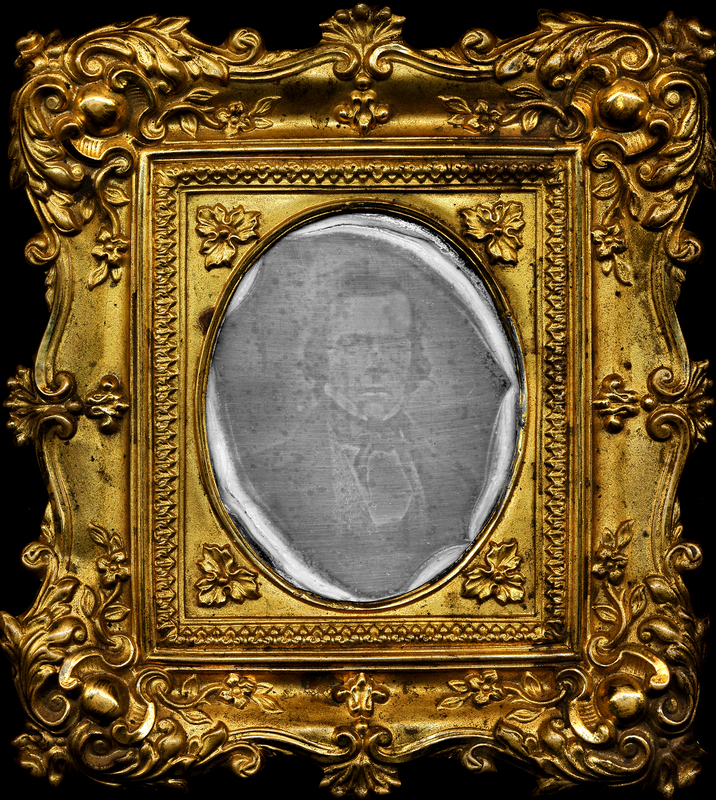 This portrait of Paul Beck Goddard is one of the first photographs taken in the United States, in 1839. It was taken only months after Louis Daguerre announced his invention of the daguerreotype in France. 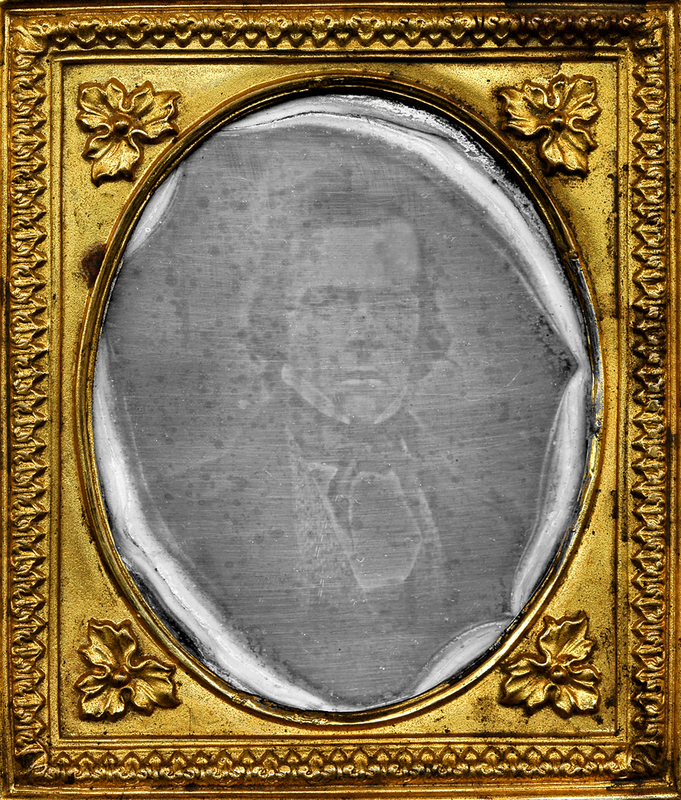 Goddard, a chemist at the University of Pennsylvania, worked with Robert Cornelius, a metal worker, to find a chemical to speed the eight minute exposure time for daguerreotypes. Bromide worked, bringing the time down to one minute. Both Goddard and Cornelius were elected to the APS, Goddard in 1840 and Cornelius in 1862. 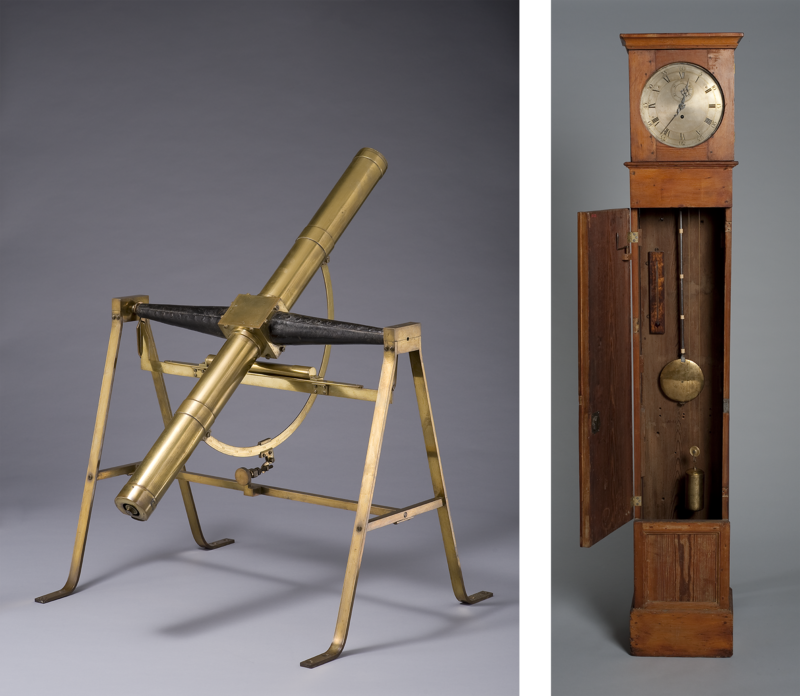 David Rittenhouse built this telescope and clock to track the movement of stars and planets during the transit of Venus in 1769. In 1769, the path of Venus traveled between the earth and the sun, creating a planetary eclipse, or transit. Rittenhouse participated in an international effort to record the duration of the transit from locations around the world. 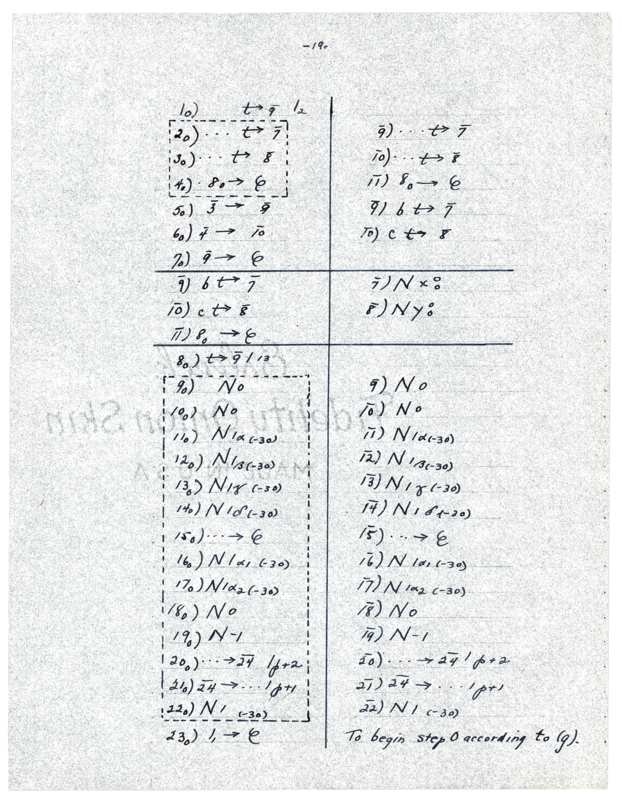 These notations would be used to calculate the distance from Earth to the Sun. Rittenhouse’s participation in this world-wide collaboration helped counter the belief that America was intellectually inferior to Europe. The publication of On the Origin of Species sparked massive international interest, and the first print run of the book sold out before it appeared. No advance has so upended our worldview since the realization that the world was not flat. 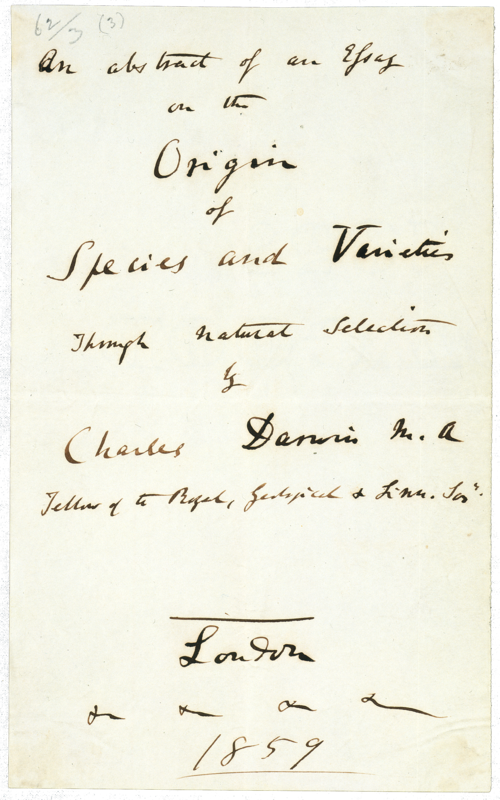 Charles Darwin sent this draft of his title page for On the Origin of Species to his friend Charles Lyell to ask his opinion of it. The Origin was finally published eight months later in November, 1859. Darwin was elected a Member of the APS in 1869. 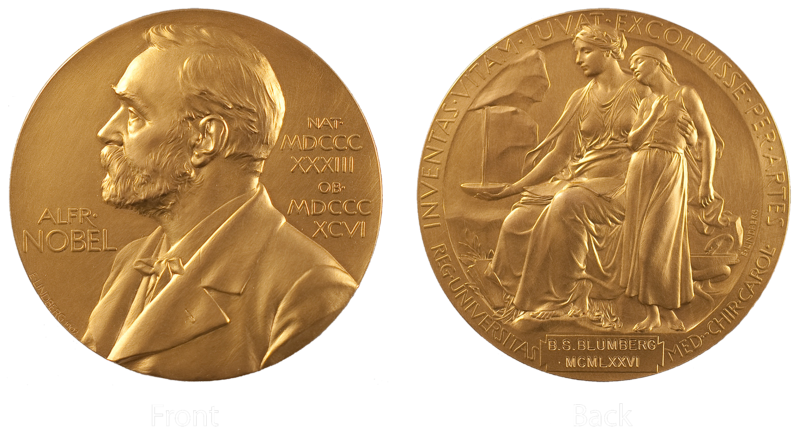 Baruch (Barry) Blumberg, was awarded the 1976 Nobel Prize in Physiology or Medicine for his work on hepatitis B.
Blumberg first identified the hepatitis B virus in blood samples. His team then invented a screening test for hepatitis B to prevent its spread in blood donations, and developed a vaccine. Blumberg gave his vaccine patent to drug companies for free to encourage its use. Blumberg later became director of the NASA Astrobiology Institute, which studies life in the universe. Baruch Blumberg was an elected Member of the APS and its president from 2005–2011. When taking land surveys, theodolites measured horizontal angles. 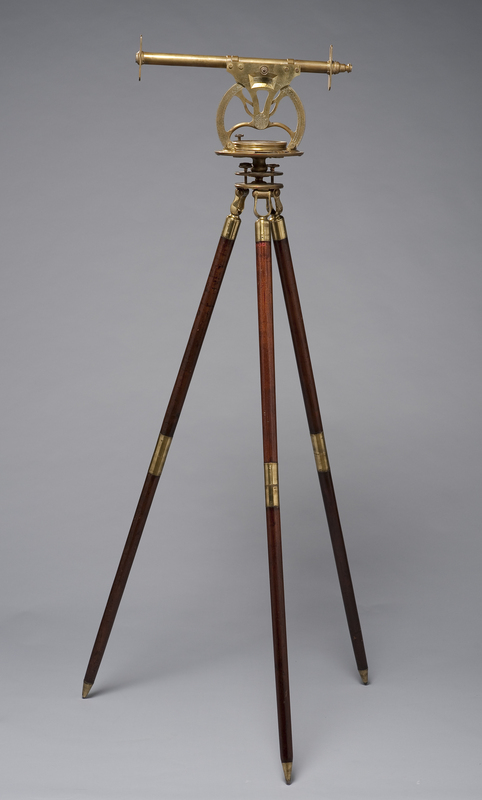 The invention of the altazimuth theodolite allowed surveyors to measure vertical as well as horizontal angles. This made the measurements more precise and reliable. 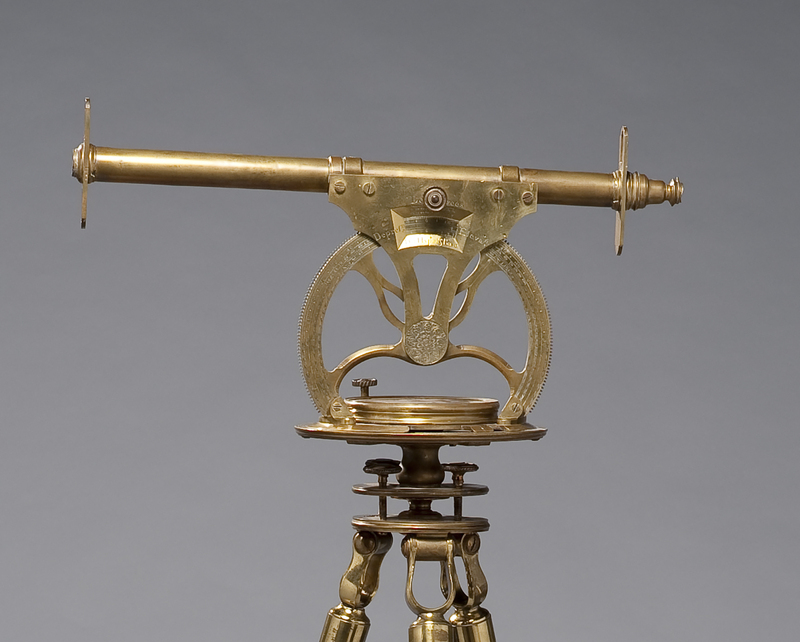 Early American surgeon and APS Member, Philip Syng Physick, donated this altazimuth theodolite to the APS. Like most instruments in 18th-century America, it was manufactured in England. It had been brought to American by the family of William Penn. Just after World War II, the US tested the effects of nuclear weapons on warships. 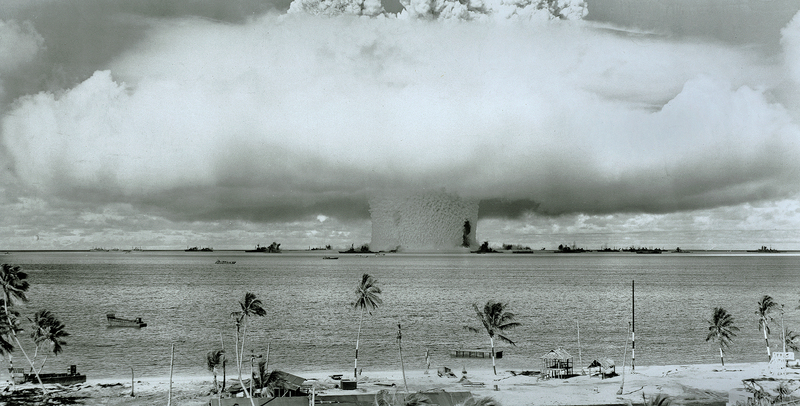 After forcing 167 Bikini islanders to evacuate, the US army exploded two atomic bombs. This photograph was taken two seconds after detonation of one of the bombs. The warship that can be seen standing on end (note red circle in second photo) gives an idea of the power of the blast. 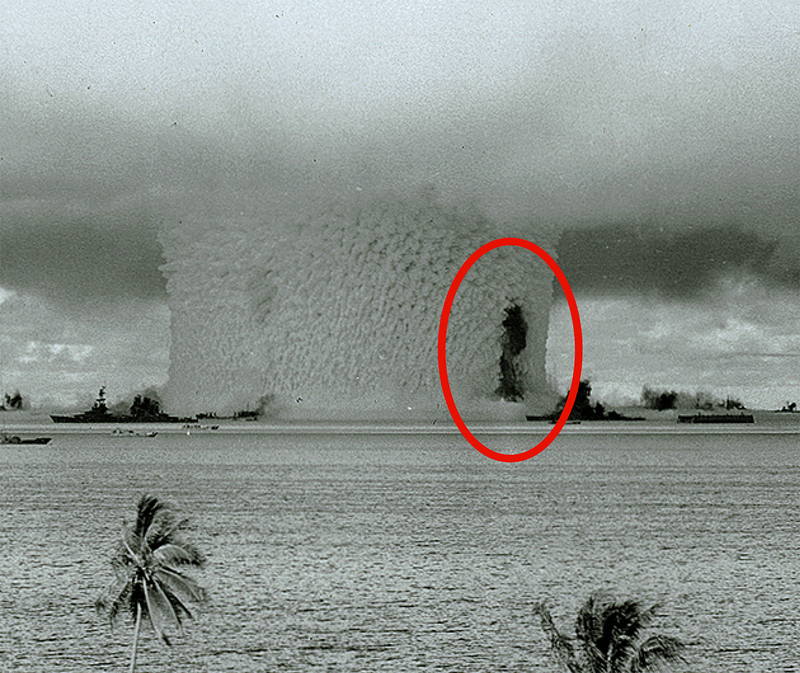 The Bikini Atoll islands are still uninhabited due to radioactive contamination. Many scientists who developed nuclear energy and the atomic bomb were Members of the APS. 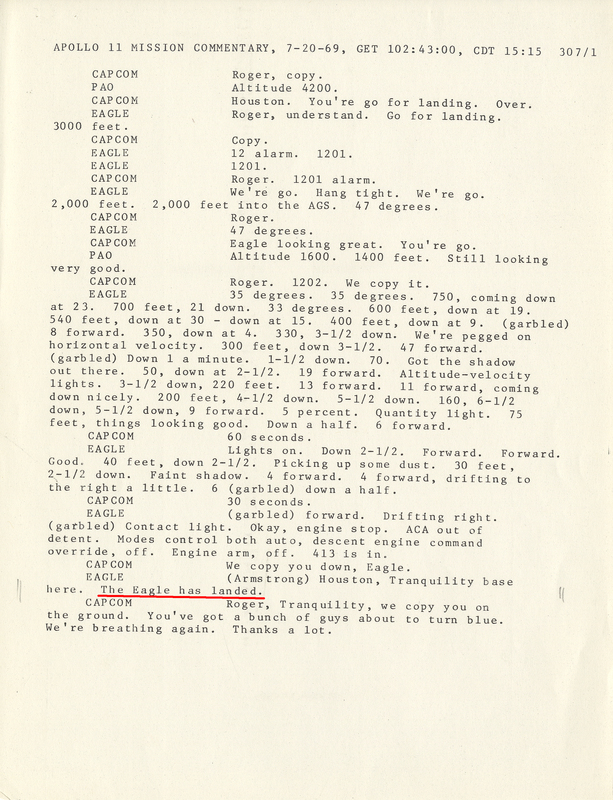 This was the first program to be stored in the computer rather than reentered every time it was used. The complete program is 23 pages long. Early computers, such as ENIAC, were hampered by the need to rewire the computer manually for each separate program it was to run. 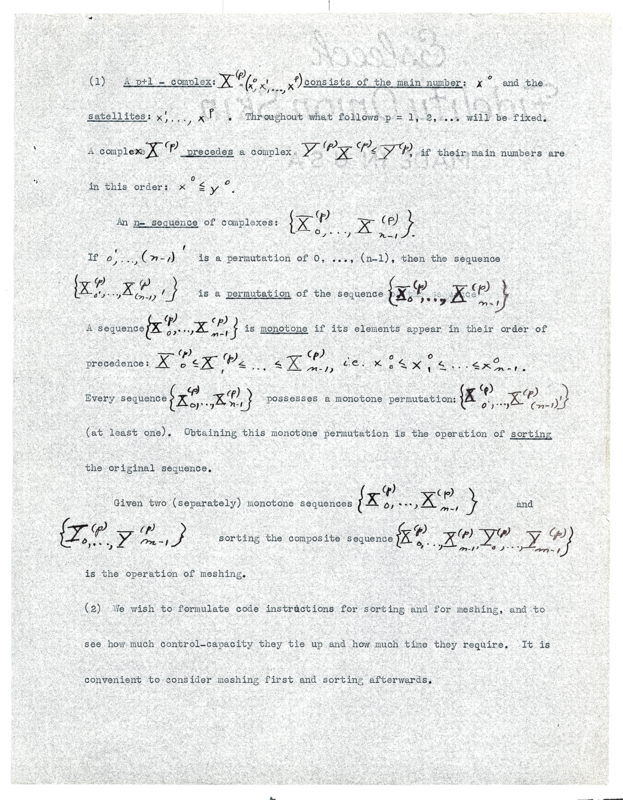 Mathematician John Von Neumann joined two other scientists, John Mauchly and J. Presper Eckert, to develop a new computer (EDVAC) that used stored programs so that instructions did not have to be input repeatedly. Von Neumann was elected a Member of the APS in 1938. Benjamin Franklin and others interested in science were profoundly influenced by Newton, and frequently referred to him. The Principia established the three laws of motion and the law of universal gravity. 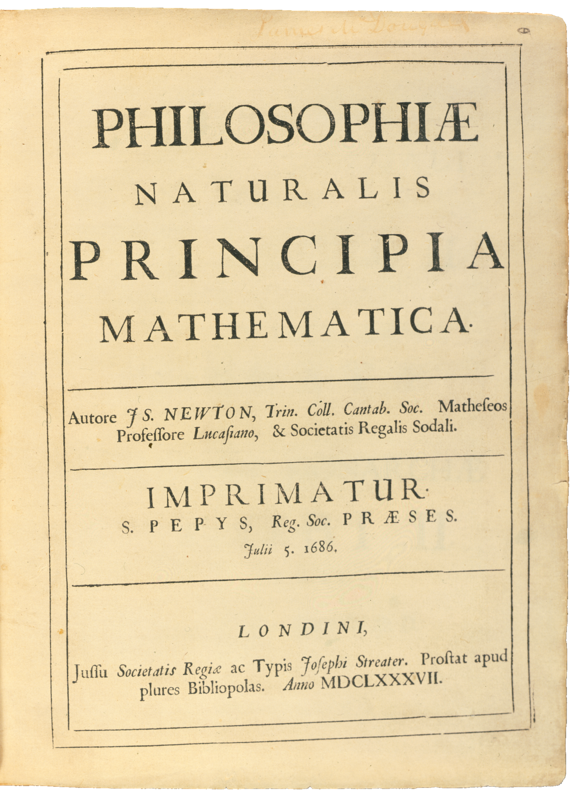 In preparing the Principia, Newton also developed a new field of mathematics, calculus. Yet the greatest contribution of the Principia may have been in the philosophy of science in Europe. Newton’s phrase, “I feign no hypotheses” became the new cornerstone of scientific inquiry, that conclusions must rely on provable facts, not possible explanations. 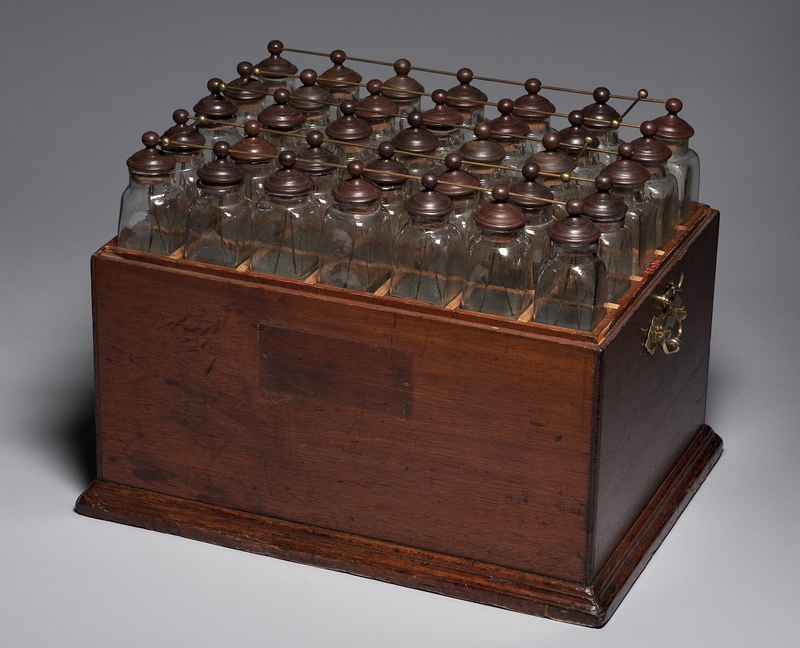 Benjamin Franklin owned this battery of Leyden jars. He coined the term “battery” for this grouping of jars that stored electrical charges. Named after one of the Dutch cities where they were first used in the 1740s, Leyden jars store electric charges. The glass jars, coated inside and out with metal foil, are charged by touching an inner conducting rod to the “prime conductor” of an electrical machine (a device which created static electricity by rubbing cloth against glass). When the jars are linked together it increases their overall power. 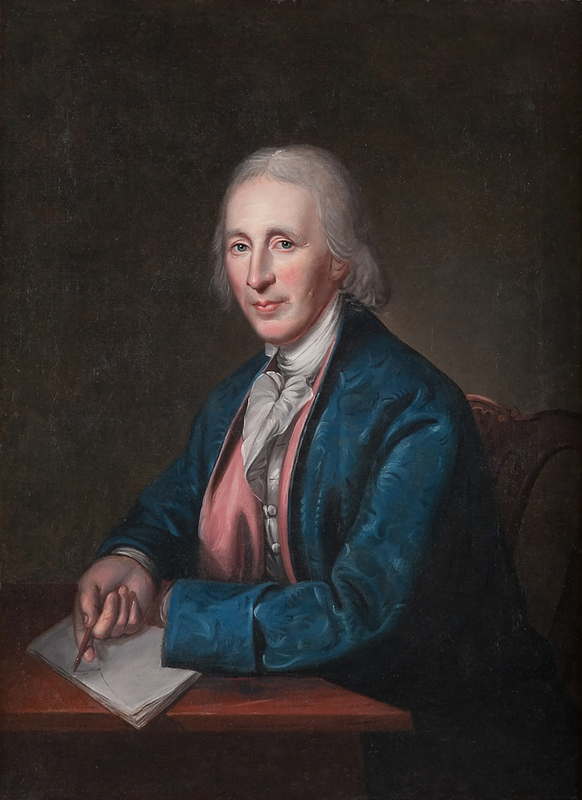 When this portrait was painted in 1791, David Rittenhouse had become a leading man of science in the young United States and was elected president of the APS. Rittenhouse, son of a Pennsylvania farmer, was also a self-made mathematician, clockmaker, instrument builder, and surveyor. He gained international renown for his observations of the 1769 transits of the planets Venus and Mercury across the sun.